Pasta noodles are such a fun craft supply to create beautiful art projects. The best thing about pasta crafts is that most people have a box or two of different pasta shapes in their home. Look in your pantry and see what kinds of pasta shapes you have to craft with. 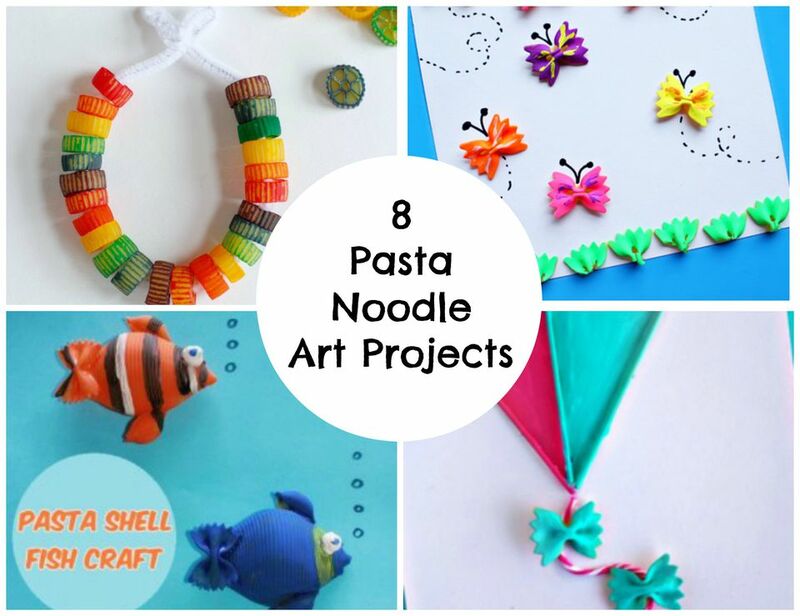 Get out the glue, crayons, and paper to get started with these pasta noodle art projects! I love how this craft turns bow-tie pasta into colorful flying butterflies. Isn't this such a cute idea? You'll need chalk markers or paint to complete this project. 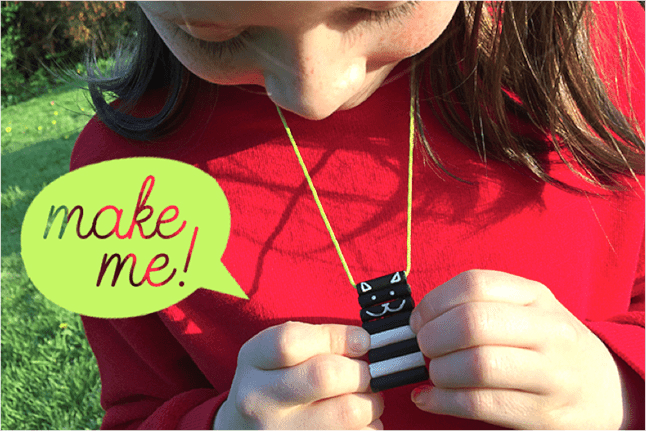 Your little ones can make their own DIY jewelry with this macaroni cat necklace tutorial. Besides paint and macaroni noodles, you'll need a little bit of yarn for the necklace chain. This is a craft that kids of all ages can do! It's easy and lots of fun. It's also great for working on those fine motor skills. Decorate bowtie pasta with gold paint and glitter. Then tie them to a string to make a gorgeous garland. This project is perfect for parties, holidays, and more. There is something fishy about this pasta craft! How cute are these fish made out of pasta shells? Decorate them to make a whole school of cute fish. Let's celebrate the rainy spring days that are ahead of us with this colorful rainbow craft. You'll need lots of macaroni noodles for this project! Don't let this pasta noodle kite fly away! Your kiddos will love shaping and glueing noodles to make a kite.